The 2016 Fossil and Artifact Identification Day will be from 9 a.m. to 5 p.m. July 30 at Ashfall Fossil Beds State Historical Park near Royal. Ashfall Fossil Beds State Historical Park will host the 2016 Fossil and Artifact Identification Day from 9 a.m. to 5 p.m. July 30 at the park near Royal. Paleontologist Mike Voorhies and Rob Bozell, Highway Archeology Program Manager at the Nebraska State Historical Society, will help identify fossils and artifacts. Bring a single item or a whole collection to be identified. Past discoveries include leg and teeth bones from camels, mastodons and mammoths, stone points, pottery and a petrified tree trunk weighing 500 pounds. 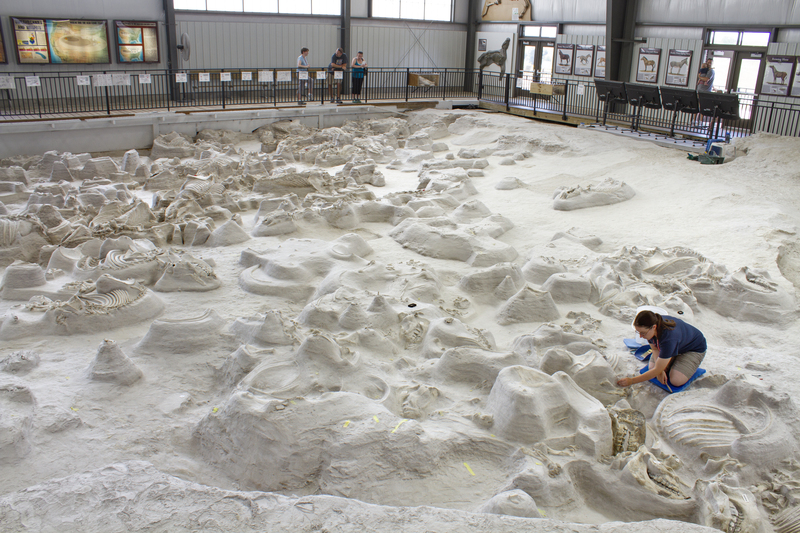 Ashfall Fossil Beds is a national natural landmark with complete skeletons left in place for viewing. The research center and active dig site allows visitors to watch as paleontologists unearth barrel-bodied rhinos and other animals entombed by ash from a supervolcanic eruption 12 million years ago. For park times and location information, click here or call (402) 893-2000.